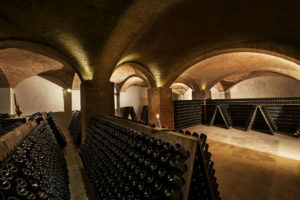 Dug to depth in the Monferrato hills, the traditional cellars – locally referred to as ‘infernotti’ – for the aging of the great white wines of Basso Monferrato, are so extensive and articulate that they have been called Underground Cathedral. Hidden in a wine landscape that has been recognized by UNESCO as a World Heritage Site, these impressive cellars bring to mind the golden age of the great wine making revolution of the mid-nineteenth century and preserve the memory of a production process that still today releases wines known all over the world! 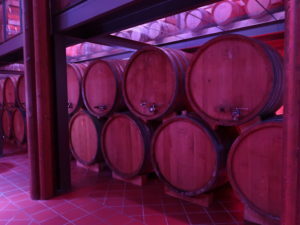 This excursion will take you to the historic cellars of the companies from which the proposal was born to protect this territory and its unique landscape internationally, you will discover the aging techniques of the great wines of Basso Monferrato and the expertise of the winemakers who made them great and will finish your visit with a tasting in a room of privileged luxury. 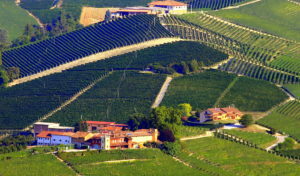 After this emotional learning experience, your excursion comtinues towards an ancient monastery, now home to one of the most renowed starred restaurants in northern Italy that preserves intact the mastery of the great Piedmontese food and wine tradition. You will return from this experience satiated and fascinated!